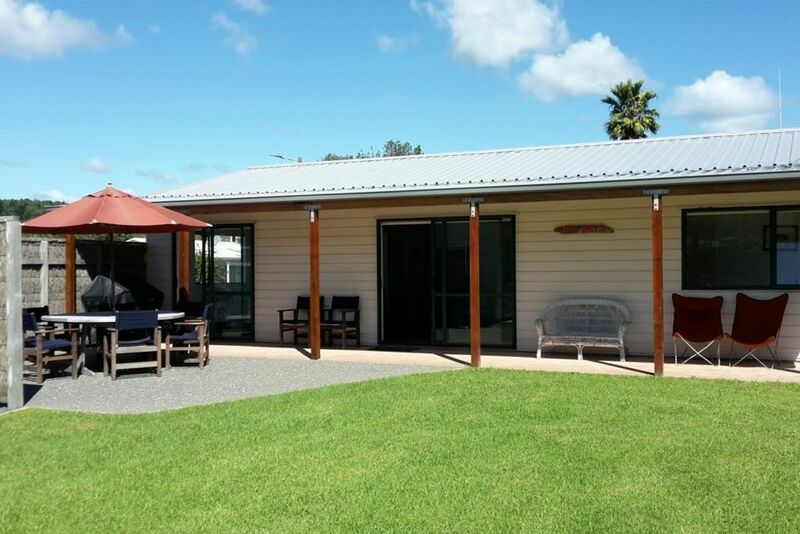 Lovely clean and comfortable holiday home only a short stroll to the beautiful Matapouri Beach. Open plan living area opens onto a outdoor BBQ area that is sheltered and private. Enjoy the heat pump for year round comfort. An outside fish filleting area and smoker is available for preparing your catch for dinner. A selection of board games and toys are also available for those rainy days. Flat corner section provides plenty of parking for the car and boat. Matapouri has lots to offer from relaxing coastal bush walks to close access to off-road pushbike tracks. A short walk along the Headland track provides stunning sea views and a beautiful bush walk leads to the iconic Whale Bay that is famous for its crystal clear waters or to Pebbly Bay where snorkelling is popular. The Mermaid Pools are accessible at low tide from the Northern end of the Beach. A 5 minute drive South over the hill takes you to the Tutukaka Marina and shops or 4km north takes you to Sandy Bay Surf Beach. Best suited for families or small groups. No tents and no Parties, thanks. Sunny flat section, fully fenced, plenty of room for parking the boat or to play backyard cricket. We had an amazing week at the bach in matapouri. House was perfect for our young family - low maintenance, plenty of room, great outdoor area with toys for the kids. Very easy walk to the beach so even the 2.5 year old could manage it (shoulder ride for the way home tho!) The beach is just beautiful, and so many places to explore within a short drive. Perfect summer holiday spot, we'll be back! Fantastic outdoor shower!!! Super lawn for cricket ?? Great bed configurations for larger families. This property was perfect for us. It is simple but well appointed with everything we needed. The layout was fantastic, I loved that you could be in the kitchen and see the kids playing on the lawn. And the outdoor shower was a highlight of our stay. The Bach was clean with great facilities. 5 mins walk to Matapouri beach. Well worth the walks to the mermaid pools and whale bay. All close by and just a spectacular area. Owner communicates really well and is fair. We had an awesome time and would 100% recommend the area and the Bach. The bach at Matapouri ticked all the boxes for us it had everything we required, spacious indoor and out, clean and well appointed, easy walk to beach but far enough back to escape the crowds.